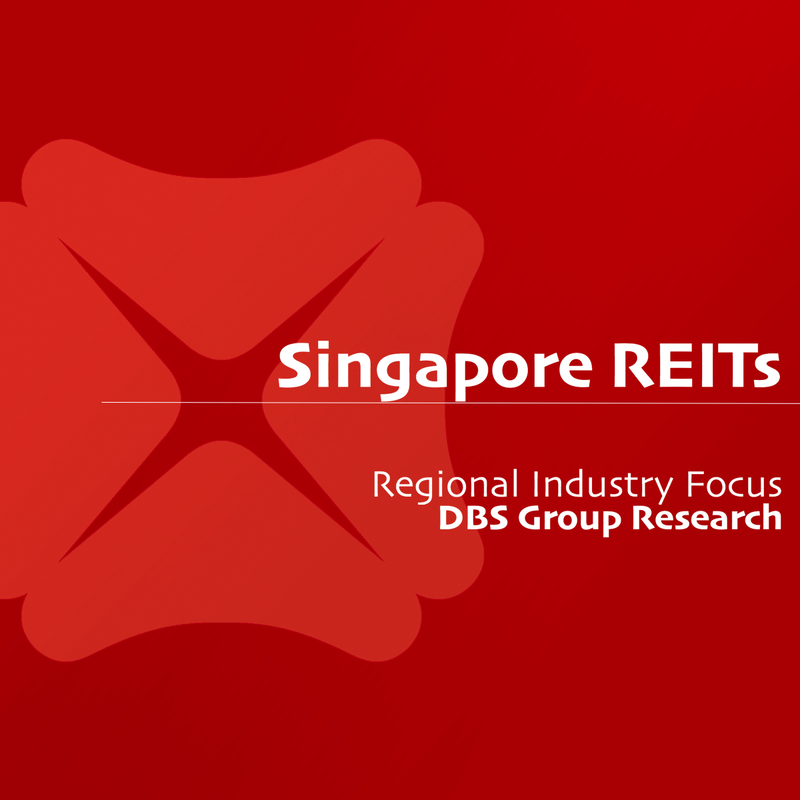 Singapore REITs - DBS Research 2019-04-03: Are We There Yet? Singapore REITs - Are We There Yet? “Lower for longer” rally to push S-REITs past 2013 highs; we see another 10% upside from current levels. Fundamentals continue to improve while potential acquisitions are the next re-rating catalysts. Rotational interest into mid-caps like Frasers Centrepoint Trust, Mapletree Industrial Trust, Frasers Logistics & Industrial Trust, OUE Commercial REIT, Keppel-KBS US REIT, CapitaLand Retail China Trust and Mapletree North Asia Commercial Trust. “Lower for longer” rally to push S-REIT prices higher; rotational interest to continue. Despite a c.14% return in the FSTREI YTD, we see more prospects for higher prices, supported by global rates staying low for longer as the market has stay dovish. With rate hikes behind us coupled with a FED pro-growth stance in their most recent posturing, we believe that there is further momentum to bring S-REIT prices higher. MAPLETREE NORTH ASIA COMM TR (SGX:RW0U). S-REIT prices may retest May 2013 highs. We see similar conducive macro conditions (dovish FED with low risk of hikes in the medium term between 2019 and early 2013), while prospects of lower interest rates will mean lower refinancing risk for S-REITs. As such, we expect S-REITs to test 2013 highs (FSTREI peaked out at index level of c.890 in middle of May 2013, 10% higher than current levels). Back then, the S-REITs traded up to 1.17x P/BV with yield spreads hitting a low of 3.4%. With current valuations being 5% below those levels - P/NAV of 1.1x and a forward yield of 5.8% (3.7% spread against the 10-year bond), we believe that share prices can test previous highs. See attached PDF report for table of S-REITs historical trading ranges. Riding on positive property fundamentals. Moving towards the reporting season for 1Q19, we continue to see improving prospects for most subsectors driven by landlords’ ability to raise rents aided by tapering supply. We see the squeeze in supply to be most prevalent among the office subsectors and expect rental reversion to accelerate from 2Q19 onwards. In the retail and industrial subsectors, we expect rental reversions to remain stable but stay mildly positive as the sectors are still moving off a high-supply environment. We expect higher and positive reversions in the warehouse and business park spaces. Hospitality REITs are expected to deliver a 3.0% RevPAR growth in 2019 but this is likely to be back-end loaded. We expect the overall growth momentum to accelerate to 2.0% in FY19. Acquisitions have always been complementary to S-REITs’ strategy to fuel further growth in distributions. With conducive cost of capital leading to expected accretive purchases by various S-REITs, if executed upon, they should be well supported by investors. Potential fund-raising activity is expected to edge up if such acquisitions materialise. P/NAV: Trading c.8% below book. Yield Spreads tightened beyond May 2013 levels. Yield Spreads have widened mainly as retail REITs have been delivering higher DPU growth. P/NAV: Trading c.9% below book. Yield Spreads have tightened slightly compared to May 2013. P/NAV: Trading at substantial 20% discount to NAV. Yield Spreads at similar levels compared to May 2013. Yield Spreads have tightened slightly beyond May 2013 levels. S-REITs' share price performance in March has largely played out to our expectations, especially after dovish signals from Fed Chairman Powell increased prospects of a prolonged Fed pause, as plans to put interest rates on “Hold” appeared to be the new Fed priority, compared to investors’ earlier expectations of one rate hike for 2019. While the ultra dovish comments boosted S-REIT prices, came on the back of rising uncertainty in the global economic outlook – which resulted in significant outperformance by S-REITs, jumping +1.7% m-o-m on average, compared to flattish STI of just +0.1% m-o-m in March 2019. Industrials remained the best-performing subsector, delivering an impressive 4.1% m-o-m return, which we believe was largely driven by investors returning to more defensive names amid concerns over slowing global growth. Contrary to the prior month, we observed that the strong outperformance in March, while broad based, was mainly led by the mid-to-large caps – MAPLETREE INDUSTRIAL TRUST (SGX:ME8U), MAPLETREE LOGISTICS TRUST (SGX:M44U), AIT and FRASERS LOGISTICS & IND TRUST (SGX:BUOU) each jumped 5.0-5.8% m-o-m. ASCENDAS REAL ESTATE INV TRUST (SGX:A17U) had a pretty strong showing as well, gaining 3.9%, while CACHE LOGISTICS TRUST (SGX:K2LU) shone the brightest among the smaller-cap names, +4.2% in March. The strong outperformance by the Hospitality cluster was buoyed by FAR EAST HOSPITALITY TRUST (SGX:Q5T) – the best-performing REIT in March, gaining 9.4% m-o-m. We attribute this mainly to expectations surrounding its new Sentosa hotels, which will be complemented by a new container park, Siloso Green - comprising eateries, food trucks, retail and event spaces and live music, as well as an offshoot of a popular Bali beach bar by end-2019, according to fresh revelations by the Sentosa Development Corporation on 29 March. FAR EAST HOSPITALITY TRUST (SGX:Q5T) aside, the other Hospitality REITs also performed considerably well, tracking slightly ahead of S-REITs at +2% m-o-m.
Overseas retail plays wowed with industry-leading performance of approximately +5.2% m-o-m (or 4.5% excluding FORTUNE REAL ESTATE INV TRUST (SGX:F25U)), led by CAPITALAND RETAIL CHINA TRUST (SGX:AU8U)’s strong 7.5% m-o-m growth on the back of favourable forex conditions. As interest cycled into more defensive names, the SG retail cluster also moved up the ranks and outperformed, +2.5% m-o-m. MAPLETREE COMMERCIAL TRUST (SGX:N2IU) led the pack with +6.8% m-o-m while STARHILL GLOBAL REIT (SGX:P40U) surged 5% after receiving a plot ratio boost for its Orchard properties following the release of the draft 2019 Master Plan by URA. Meanwhile, Office S-REITs took a breather after a solid run-up in prior months, +1.6% m-o-m. In line with our strategy to pick laggards, KEPPEL REIT (SGX:K71U) remained the best-performing office name for the second consecutive month, +4.9% in March. Likewise for OUE COMMERCIAL REIT (SGX:TS0U), which jumped 4% m-o-m.